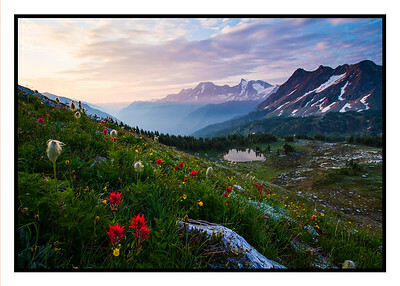 Spectacular wildflowers welcome the morning sun at Jumbo Pass, British Columbia. Mount Bastille towers over the peaceful tarn, while Redtop and Earl Grey mountains are seen in the background. Situated at the height of the Purcell Mountains, Jumbo Pass is a major wildlife corridor connecting the East and West Kootenays. 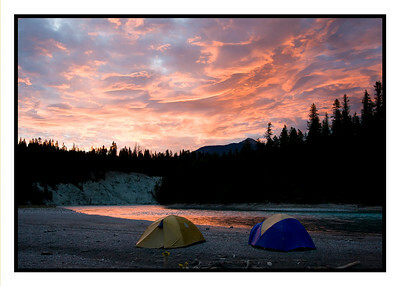 A peaceful morning dawns over campers on the Kootenay River near Radium, BC. The namesake of the Kootenays flows over 700 kilometres from its headwaters in the Canadian Rockies through both Canada and the USA before reaching the Columbia River near Castlegar, British Columbia. 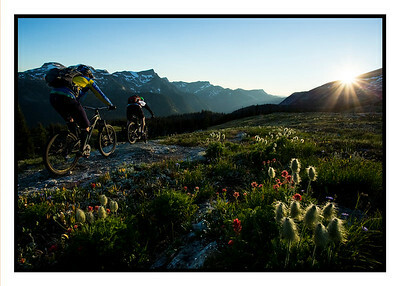 Mountain bikers enjoy alpine singletrack as the sun fades behind Mount Fosthall. The Kootenays are well known for numerous alpine recreation opportunities. Located in the Monashee Mountains south of Revelstoke, Sol Mountain Lodge offers spectacular alpine mountain biking and hiking in the summer months and fantastic backcountry ski touring during the winter. 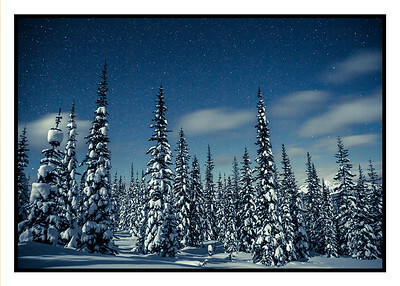 During a rare break from winter storms, snow-laden evergreens take on an ethereal form under a starry night in the Selkirk Mountains. The Kootenays are world renowned for spectacular mountains, abundant snowfall and deep powder skiing throughout the winter months. 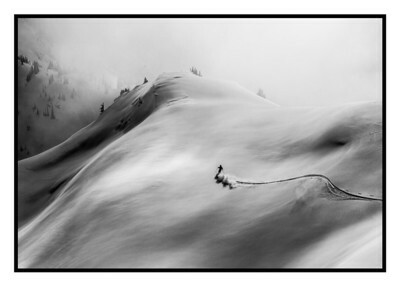 A lone skier enjoys untracked powder in the Columbia Mountains. 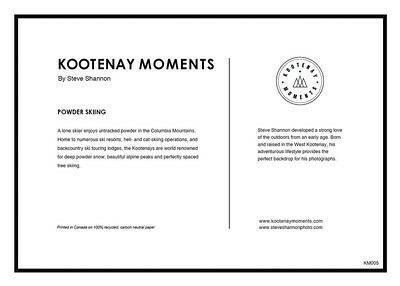 Home to numerous ski resorts, heli- and cat-skiing operations, and backcountry ski touring lodges, the Kootenays are world renowned for deep powder snow, beautiful alpine peaks and perfectly spaced tree skiing. A warm cabin is welcome refuge on a cold winter night. Backcountry huts have been built throughout the Kootenays to provide skiers and hikers shelter in the mountains. 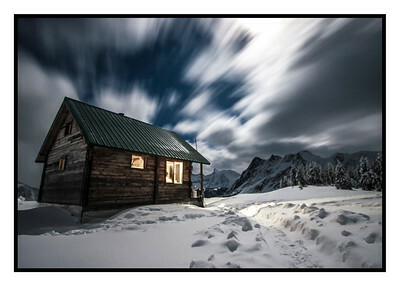 Nestled near tree line in the Purcell Mountains, the Jumbo Pass cabin serves backcountry users year round.